Our industrial wiper service provides products for the handling of industrial dirt and hazardous waste. We pick up dirty wipers and absorption mats for laundry regularly and deliver clean replacements at the same time. Our cost efficient service ensures that you always have enough clean wipers and absorption mats in use and your premises stay clean thanks to the collector bins included in our service. Switch to a care free service and let us handle the disposal of your hazardous waste responsibly! Our industrial wiper service offers durable wiping products for the handling of industrial and toxic waste. We will deliver you clean wipers and absorption mats at agreed intervals and take used textiles to our laundry. Our service ensures that you always have enough clean wipers and absorption products available for use and they help reduce slips, trips, and falls around your workplace caused by leaks, spills or stray wipers being left lying around. Our service is flexible to your needs and can be adjusted at any time. If you have seasonal changes or have sudden needs for more products, we can make changes to the amount of products delivered to you very flexibly. Industrial dirt is most often oil and similar dirt classified as hazardous waste. The treatment and disposal of such dirt is regulated by law. We adhere to strict safety and environmental instructions in the handling and transport of our wipers and absorption mats. Switch to our service and rest assured because we will take care of responsible disposal of hazardous waste for you! We can provide you with a report of disposed waste. Our flexible service model ensures cost-efficiency. By using a recyclable wiping product, waste volumes decrease and the disposal costs of such waste are no longer your concern. To start with our service, there is no initial investments needed – we provide you with the products and containers and you only pay for the small weekly service fee according to how much products you need. Make full use of the cost benefit right away! We continually invest in new stock so that our products are of the highest quality, ensuring all spills, leaks and other accidents are easily managed, without any fluctuation to your agreed weekly charge. We are an accredited ISO 14001 company, leading UK environmental change throughout our products and services. We understand how important it is to do everything possible to lessen the impact on our environment and so we have developed a range of eco-friendly solutions. When it comes to handling and transportation of our products, we apply with strict safety and environmental instructions – you as our customer are also entitled to a report of disposed waste. Our service process is certified according to ISO 9001:2000 standard. Our laundry site has been specially chosen for a number of different reasons. During the laundry process, 100% of the water used is recycled, resulting in zero % water wastage. None of the water used is discharged into the sewer which aids in water reduction and also the added benefit of assisting the ISO 14001 accreditation. Our industrial wiper service is easy to budget – there are no hidden costs! Our service is cost efficient and an easier option than disposal of hazardous waste on your own. Your monthly cost depends on your needs; amount of wipes needed for daily use and industry you operate in. Get an offer today!  Isn't it cheaper to buy my own wipers? As a one-time purchase, taking the plunge and buying your own wipes might seem like a good option. However, in industrial use wipes don’t have a very long life cycle and they need to be replaced with new ones frequently. Taking into consideration the laundry costs and cost of disposing hazardous waste, buying your own wipes starts piling up costs that are difficult to estimate and budget. Then again the quality of disposable wipers is not enough for industrial use and they also create a big waste problem, especially when handling hazardous waste.  Aren't all wipers pretty much the same? Absolutely not! We understand the needs of different industries and have a selection of wipes for different kind of wiping and absorption needs. 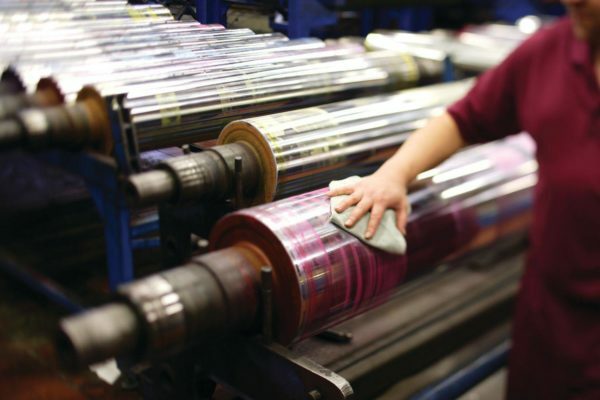 For example, the printing industry requires very high quality wipers that leave no residue on the printing machines – giving the papers and magazines the perfect clean print whereas the automotive industry usually requires wipes and absorption mats that are heavy enough to hold liquids such as oil and grease. Don’t know which wipers are best for you? Don’t worry, we will help you find the best solution for your needs! What are our wipers designed for? 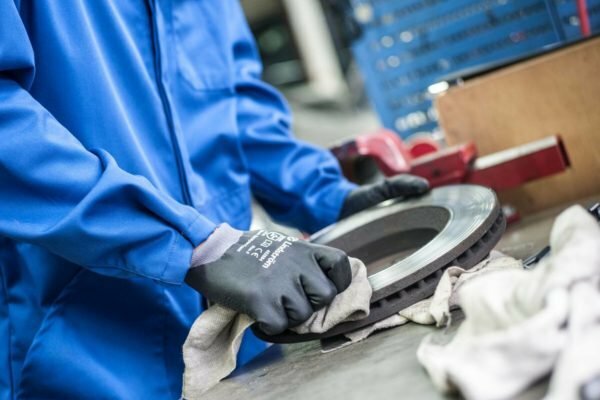 In repair operations, the high-quality of industrial wipers is of extreme value – they are indispensable waste collectors. Our range of absorption mats serve as a diverse work platform in either anticipating or reacting to spills and leaks. The excellent absorbency of our industrial wipers, which is up to 6 times better than that of disposable rags, ensures excellent performance in all maintenance, industrial and workshop activities. The absorption mats placed underneath receptacles and maintenance items protect work facilities against leaking and spilled liquids. The diverse absorption mats can also be used as a working platform. For the ink wiping needs of the graphic industry, we offer industrial wipers specifically designed for the needs of the printing industry. The highly absorbent wipers are made of 100% cotton to clean ink efficiently. Based on a jointly performed needs assessment, we will plan together with you the selection of wipers and absorption mats best suited to your company. At the service launch, we will deliver safe and high-quality delivery and collection containers for the products to your facilities. We will wash and maintain all wipers and absorption mats for you. We will make sure the hazardous waste will be responsibly handled and disposed in accordance with the law. We will pick up used wipers for laundry at the same time we deliver you a clean supply. We ensure that discarded textiles and the waste they produce will be responsibly handled and disposed of. Our industrial wiper division provides products and services for the handling of industrial dirt and hazardous waste, through a wide range of wiper and floorcare products. We collect soiled wipers and absorption mats and deliver clean replacements at the point of collection. Your soiled products are taken away to our UK laundry facility, ensuring minimal waste to landfill. We make sure that any hazardous waste that comes loose during laundry cleaning is treated according to the current regulations. Your rental charge for this service includes all products and containers, as well as your regular deliveries and collections, giving you peace of mind that there are no hidden costs that you will incur.